Living spaces in the UK’s second city, Birmingham, now rival those of the Capital - right down to their stair parts! Sales of top staircase designer Pear Stairs’ products have increased rapidly over the past few years, with more and more home-dwellers deciding to renovate the stairway of their Midlands home. 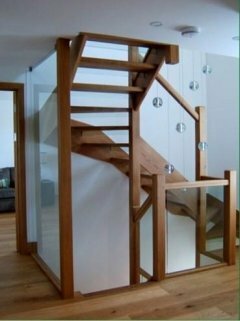 Whilst the cost of a whole new staircase can be prohibitive, upgrading individual stair parts in Birmingham – such as spindles, balustrades and newel posts – is within most people’s range, yet can make a massive difference. Look! And the process couldn’t be easier. Our website shows you exactly how to give your stairs a makeover – step by step. We guide you through the process of measuring up and planning the stair layout from top to bottom. But if you prefer, we can handle the technical side of things for you, leaving you to enjoy browsing through our range of attractive stair parts for exactly the look you want in your Birmingham home. You will enter a wonderful world of traditional joinery terms where you will find hand rails and balustrades; Beaufort spindles and newel caps; stringers; risers; bullnose steps and treads. But don’t be alarmed by all the unfamiliar terms; there is a full glossary on the website and we are always here at the other end of the phone if you need guidance. Delivery of our Stair Parts to Birmingham is quick! 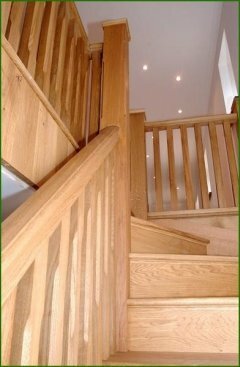 All of our stair parts are crafted in a wide range of beautiful woods, ensuring that they fit precisely together when they are delivered to your home to give you a perfect, streamlined look. Delivery to the Birmingham region is by courier and takes just 7-10 days from receipt of order. 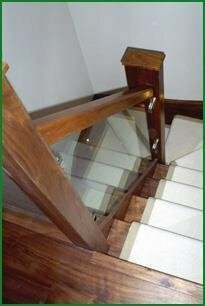 So press the reset button on your Birmingham home with brand new stair parts for a whole new look.